Built on the Ford Figo platform, this car is a lot different because it has got a wider track, a better ride height, new set of 15-inch tyres wrapped around in smart black alloys and a ground clearance of 190 mm, says P Tharyan. All I could see for miles and miles was flat barren land. We were at India’s largest inland salt lake, the Sambhar Lake, a good two-hour drive from the Jaipur international airport in Rajasthan. I was at the wheel of the new Ford Freestyle, the car maker’s all-new compact utility vehicle. I could not resist switching off the traction control and tossing the vehicle around at high speeds on the dry lake bed. I braked and cornered to my heart's content. With its active rollover prevention (ARP), a first-in-class intelligent technology, I knew for sure the vehicle would not go belly up. ARP works with Electronic Stability Control and applies brakes to the relevant wheels to decrease engine torque and avoids any potential rollover situation. I was pleasantly surprised by the vehicle’s stability and ride control. Built on the Ford Figo platform, this car is a lot different because it has got a wider track, a better ride height, new set of 15-inch tyres wrapped around in smart black alloys and a ground clearance of 190 mm. 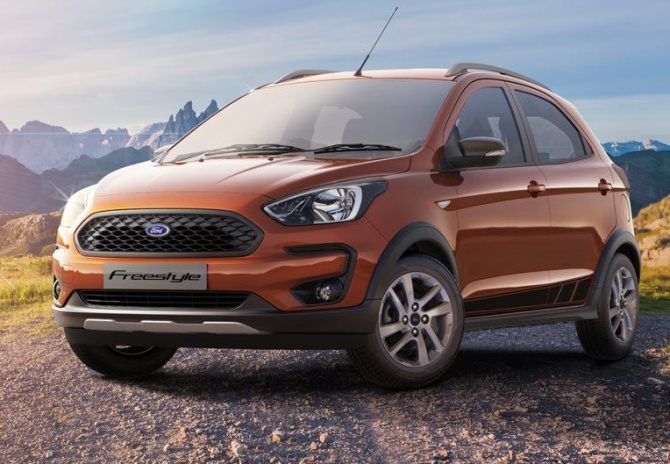 The Ford Freestyle grille, with a 3-D mesh that has the Ford logo fixed on it, gives the car a sporty look. 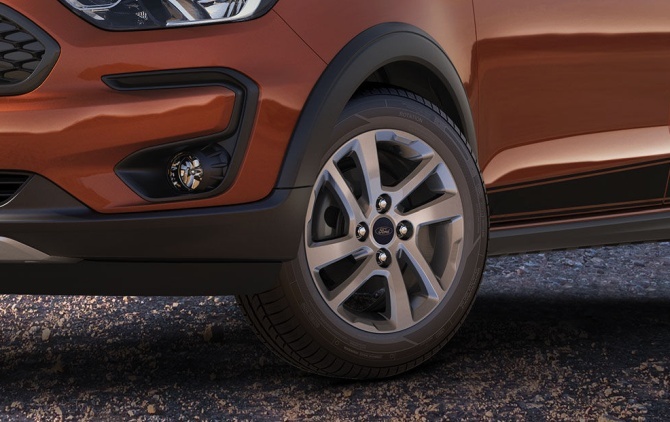 The front and rear bumpers are decently proportioned and, along with the skid plates on the front and rear, give an off-roader character to the car. The roof rails are no ornamental adds-ons, but can help take a load of around 50 kg atop the car. The car, unfortunately, does not have daytime running lamps and comes fitted, instead, with conventional ones. The Freestyle has blacked-out high contrast headlamps that are complemented by a fog lamp bezel. 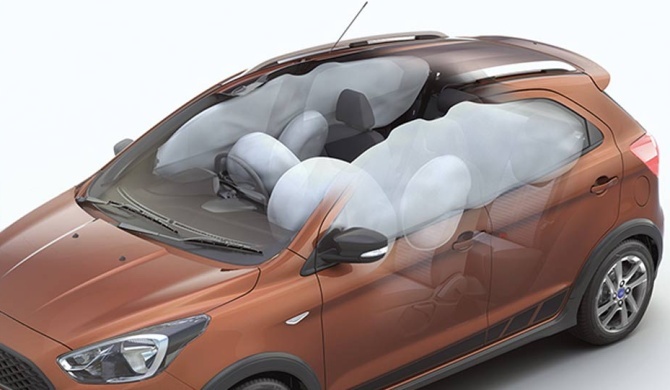 The top-end Titanuim+ variant I was driving comes with six airbags while the base model starts with two front airbags. The dashboard looks impressive and the plastic used may not exactly be premium, but it is not tacky either. There are at least 20 different storage spaces. There are two USB slots and one 12V power socket on the dash area. 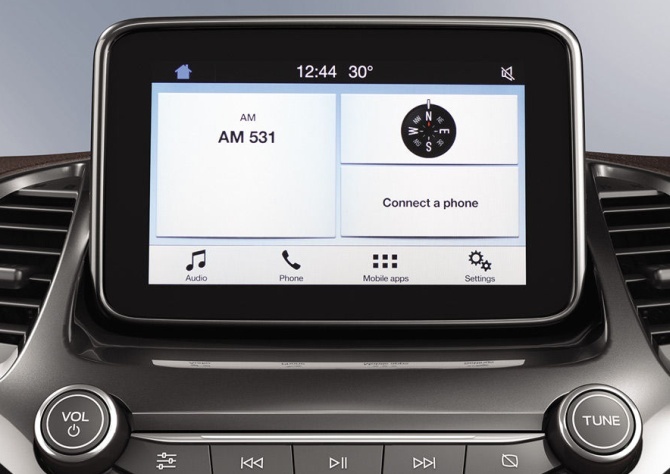 The Freestyle also features Ford’s in-car infotainment system, SYNC 3, with a 6.5-inch touchscreen that allows drivers to control the entertainment and connected smartphones with conversational voice commands. SYNC 3 system is also compatible with Apple CarPlay and Android Auto. The Freestyle comes with a reverse parking camera, keyless entry and a push start. It also has automatic climate control. Seating in the front is decent, but once I tried the rear seats, I realised that tall people could find the head room a bit wanting. There are also no rear AC vents nor adjustable head rests at the back. Where the Freestyle really scores is the drive and its ride and handling. 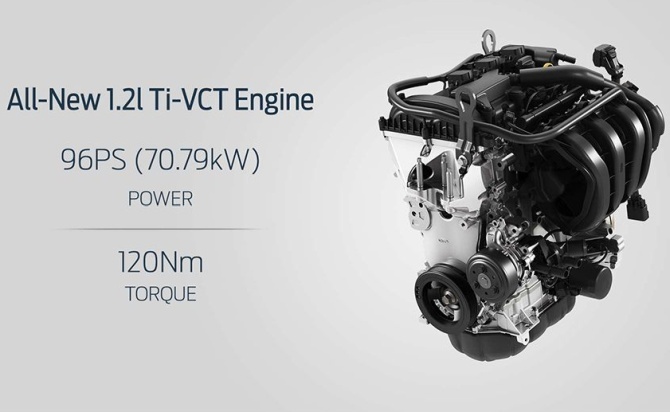 Yes, the three-cylinder 1.2 litre petrol engine is a gem of a machine and, along with the new five-speed transmission, it's quite an impressive machine. The moment you slot the machine into first gear, off it goes like a car in a hurry. Traction control, anti-lock braking, electronic brake distribution and electric-power assisted steering are some features that enhance your driving pleasure. The suspension seems to be tuned perfectly to take on the rough and the smooth. Photographs: Kind courtesy Ford Motor India.